From this tutorial you’ll learn how to utilize Images Layout JetElements module style for Elementor. In this block, you can change style and appearance settings for Image Layout module, define items padding, alignment, additional elements color, etc. 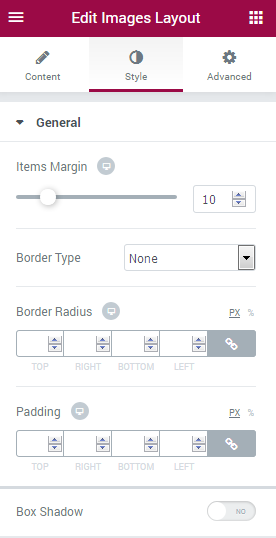 Items Margin — drag the controller rightwards and leftwards to specify the preferable item’s margin. Border Type — here you can define the needed border type for the module. It can be dotted, dashed, double or solid. Padding — here you can set the preferable custom padding for the module is displayed. Fill in the values for the top, bottom, right and left padding in pixels to apply your custom padding. Color — here you can set the color of the module icons using color picker tool. Background Color — here you can set the background color for the icon using color picker tool. Font Size — here you can define the font size of the icon symbol. Box Size — define the box size of the module icon. Border Type — here you can define the type of the border you need to use for the icon element. Border Radius — here you can define the values for the radius of the selected icon border. Horizontal Alignment — select central, left or right alignment for the icon. Vertical Alignment — select central, left or right alignment for the icon. Color — here you can set the color of the module titles using color picker tool. 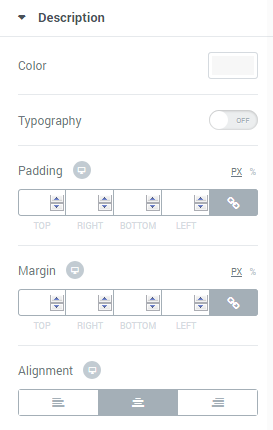 Padding — here you can set the preferable custom padding for the titles. Fill in the values for the top, bottom, right and left padding in pixels to apply your custom padding. Alignment — set the centered, left or right alignment for the title. Color — here you can set the color of the module descriptions using color picker tool. 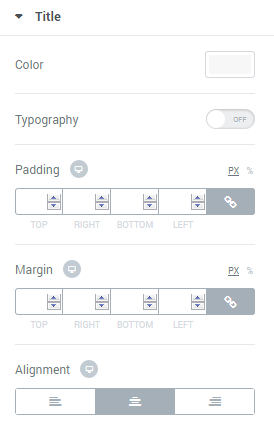 Padding — here you can set the preferable custom padding for the descriptions. Fill in the values for the top, bottom, right and left padding in pixels to apply your custom padding. Alignment — set the centered, left or right alignment for the description. Background Type — in this block you can choose, whether you want to use classic or gradient type for the module overlay. The customization options vary for each type. Color — here you can set the background color for the overlay using color picker tool. 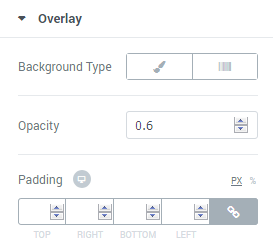 Padding — here you can set the preferable custom padding for the overlay. Fill in the values for the top, bottom, right and left padding in pixels to apply your custom padding. Title Order — here you can set the order number to display the title first or second. Content Order — here you can set the order number to display the content first or second. 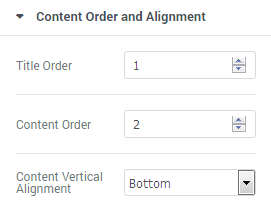 Content Vertical Alignment — here you can set the top, centered or bottom content alignment.